Approximately four miles south of Poplar, Montana, four existing 24" diameter culverts along Nickwall Road over Redwater River, a tributary of the Missouri River, were impeding the passage of over 16 species of fish. 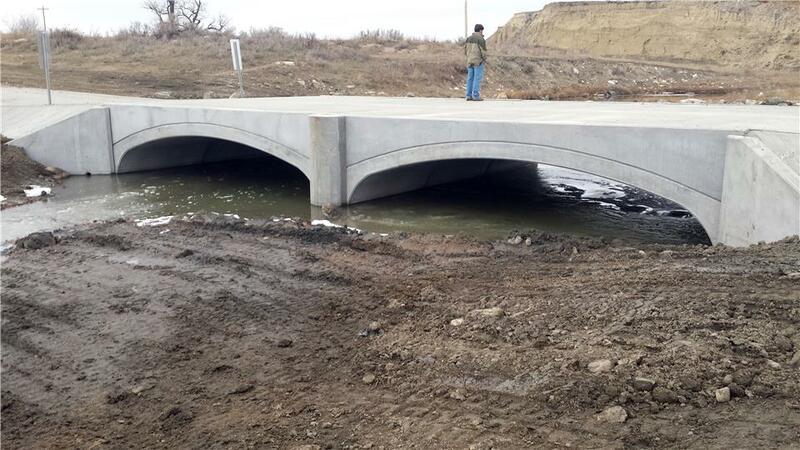 In order to improve fish passage from the lower portion of the river, the Montana Fish, Wildlife and Parks (Montana FWP) deemed it imperative that the undersized culverts be replaced. Initially, Montana FWP considered replacing the undersized culverts with three concrete box culverts. After reviewing the hydraulic requirements of the project, however, it was ruled out as a viable option and the search continued. After viewing a presentation from Contech Engineered Solutions about innovative solutions, the Montana FWP selected a twin 20' span x 6'-4" rise x 23.5' long CON/SPAN® i-Series™ Bridge System, with its engineered invert technology, for its ability to meet all of the project requirements. The CON/SPAN system provided a unique fish passage environment, the ability to pass a larger flow than the original culverts, and a quick installation at the remote site. In addition, the invert technology effectively retains the finer grained soils prevalent in stream beds in eastern Montana so that they remain under the structure, providing a natural stream bed. Other systems utilized in the past were unable to retain the finer grained soils during large storm events. The entire project, including excavation, installation of the prefabricated system, and backfill, was completed in about three weeks. The bridge system itself was installed in just six hours. "For the past 25 years, this crossing of Redwater River near Wolf Point, Montana has acted as a fish barrier to 16 different species of fish," stated Jason Senn, P.E., Project Manager with Montana FWP. "With the installation of the twin CON/SPAN i-Series structure, the fish now have access to 23.5 miles of river upstream. 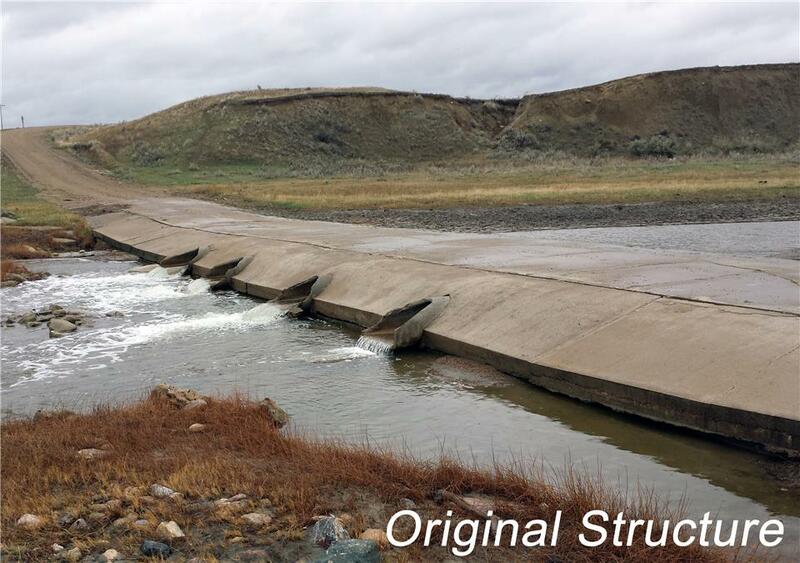 The structure was selected for this crossing due to the unique design of the structure to create a natural bottom for fish passage, connectivity to the subgrade (a hyporeic zone), and hydraulic diversity."